Want to spend a little time on the Island? Simply drop us an email and let us know why you would be a great island visitor or visit here. Deserted is a podcast show all about you. Imagine being marooned on a deserted island, with nothing to wile away the long, hot days but a handful of your most precious and cannot-live-without items. Choose carefully, you may be stuck there for some time! Includes information sites, applications, games/entertainment, but excludes media networks (such as movies and tv on demand), social networks, or twitter/chat. You have access to Wikipedia by default. 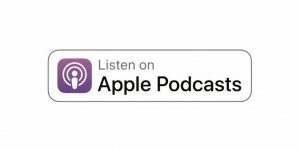 There are no restrictions on the choice of podcast. You can see the tweets from just one account. Can be a printed book, or an ebook, but not a periodical. Cannot be a computer, mobile phone, or other broadcast communications or internet access device. When you arrive on the island, your assigned Customs Officer will check through your inventory and ask you to justify your choices. Be careful, he may refuse to let you keep them! If you really cannot live with just one item from a category, feel free to trade one of your other items. And of course, rules are sometimes meant to be bent – just be prepared to negotiate. 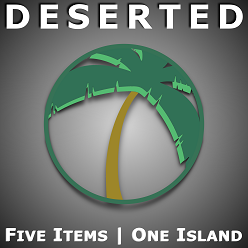 If you would like to take part or have a guest suggestion please email customs@desertedpodcast.com.